After attending the Northeast Area Rally in Syracuse, New York, Sondra and I drove to our home in Elkhart, Indiana. We stopped just long enough to get our new little poodle toy, CH Yoda, his first haircut; to have my hearing aids repaired (my dog chewed on them by mistake); and to see how much of our “stuff” sold at the estate sale at our Elkhart house. Since my swearing in as your new president in Indy, Sondra and I have been trying to clear out our house we have lived in for about 40 years so we can sell it. I’m guessing many of you can relate to that experience… Whew! Our next stop was the Midwest Area Rally in Amana, Iowa. We arrived just in time to check in with Glenda Milner to find out what she wanted us to do that night. Glenda is the wife of Gary Milner, the new national vice president, Midwest Area. We really timed it right, as they were getting ready to serve a dinner to all of the rally volunteers. The visiting FMCA national officers helped “serve” the meal to those who work so hard to make this a great RV experience. 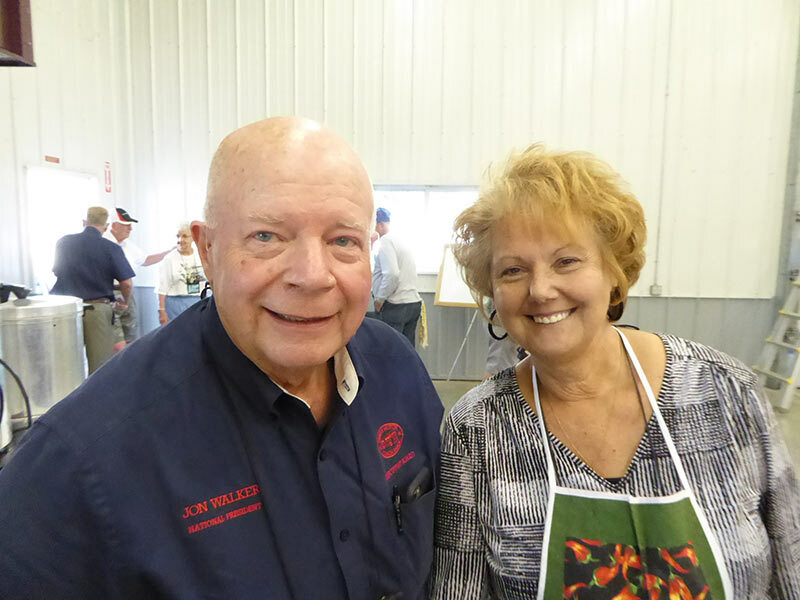 Rett Porter, FMCA national senior vice president, and Gaye Young, FMCA national secretary, jumped in to dish up the food. For all of you out there in RV land, Amana, Iowa, is rich in history. We are going to visit the Amana Colonies this week and learn all about this settlement. Stay tuned! 7 Comments on On to Iowa! It was great to see thou two. It’s been awhile since we shared coffee in the morning. Ann and I wish you continuedsuccess in your new office as FMCA President. Safe travels and continued Good Health. Always know that you are up early and the fresh coffee is on. Look forward to our visits! You and the wife did an excellent job in Iowa. Your passion and commitment is appreciated. My vote on the ballot is NO. I understand why FMCA would want to grow members but mixing campers with motorhomes will significantly change the organization. When we attend FMCA we know the people next door have the same issues with motorhomes and are similar age and stage in life. FMCA is like a country club for motorhomes. I would rather pay double or triple to keep the exclusive motorhome membership. I agree that allowing towables into FMCA will, in fact, change the organization. It will be interesting to see how the general membership votes on this matter. We have done everything possible to get all available information out to all of our members. Thanks for the comment, Elvis. 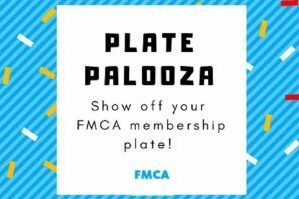 How do you feel about allowing towables into FMCA?